Can a global treaty prevent hostilities in space? The more than 1,000 active satellites orbiting the Earth present vulnerable targets to hostile nations, and attacks could cause wide-ranging damage: Weather satellites help predict hurricanes; communication satellites support telephones and other electronics and satellite-based navigation networks provide myriad services worldwide. Moreover, an attack on a satellite also would add to the more than 12,000 pieces of potentially dangerous space junk already orbiting the Earth at speeds exceeding 17,000 miles per hour. So far, weapons have not been deployed in space that threaten satellites, nor has a satellite been deliberately destroyed by hostile action. But both the United States and China have shown they can target and destroy satellites. Some U.S. military leaders have pushed for the United States to achieve “space superiority,” in part by developing a controversial system that could destroy incoming enemy missiles. 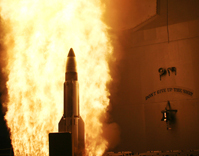 Because such a missile defense system could also target satellites, many countries want it outlawed. But international negotiations to ban or regulate anti-satellite and other space weapons have been stalled for years.